I am based in Eugene, Oregon in the upper Willamette Valley. 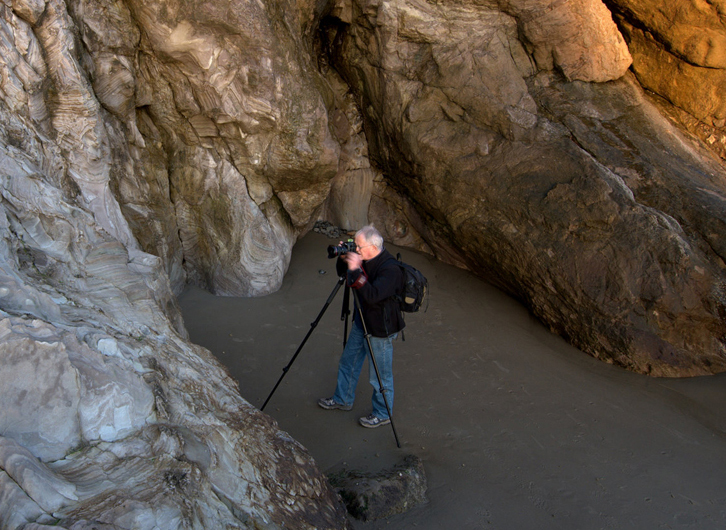 The city is ideal for a landscape photographer in that it is about an hour from the Cascades and an equal amount of time from the Oregon coast. With a little more time on the road you can pop over into the high desert of Central and Eastern Oregon – one of my favorite places to photograph and just be and up to the spectacular Columbia River Gorge. Then of course I am not that far from the Rockies and all they offer to the lens. People often ask me what camera equipment I use. I shoot with a Canon 5D Mark III and a whole array of Canon lens. I use a Gitzo tripod equipped with a Kirk ballhead. Makes for an efficient and stable platform for landscape photography. I have so many people to thank for inspiration and support. First of all my family, especially my sister and brother-in-law whose constant encouragement and interest always buoy me up. Then there are my good friends Michael and Nancy who are there at all times and always offer honest and heartfelt support. And then there is long time friends and photographic colleagues like Dave Hill and Paula Goodbar – see LINKS – who are a constant source of inspiration, technical support, guidance, honest feedback and companionship.